for weeks now, through much of spring and into these early days of summer, i’ve been on high alert, awaiting the precise moment when a certain linden tree growing in a convent garden would at last decide it’s time. time to unfurl its yearly offering and erupt in honey-scented blossom. it is a most delightful interlude, i tell you, to find yourself awash in messages about the blooming of a tree, a tree a friend of yours is counting on to heal her hurting ways, a tree that through the ages has long been believed to store the warming rays of sunshine in its star-burst blossoms. a tree that lives and breathes, quite purely, to soothe us through and through. as promised, sister rita wasted not a minute in the spreading of the long-awaited news. she called first thing the other morning. before the clock struck eight. she was on the line bright and early telling me the time had come. the linden tree was at last in bloom, and i needed to come soon, before the sacred blossoms tumbled to the ground, and we’d have to wait another year. 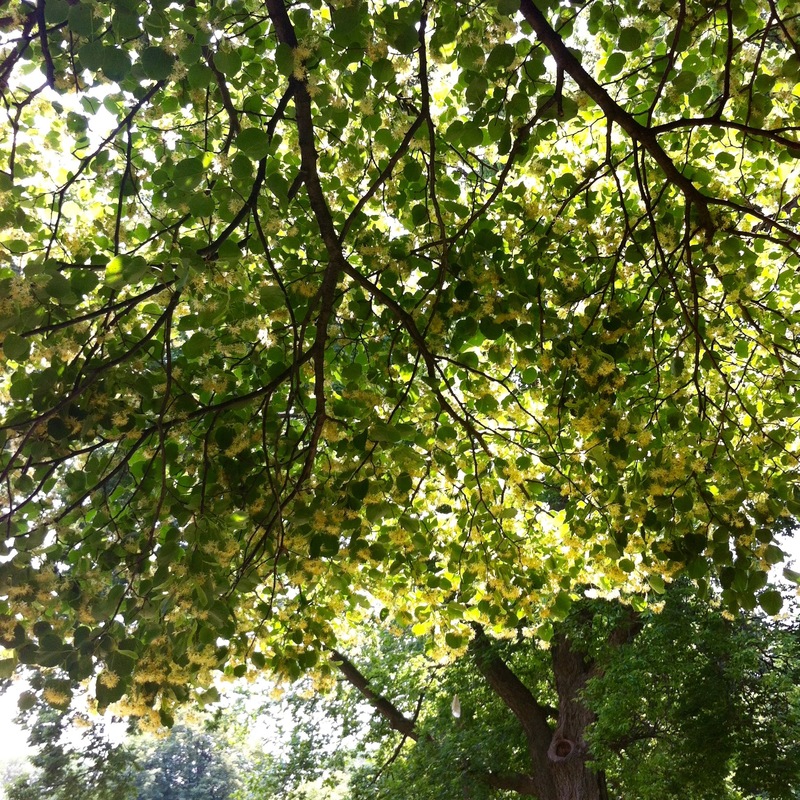 the linden tree this year was late, deep into june, nearly july, before it became a froth of honey-dappled sweetness. i’d be there by two o’clock, i promised. i’d rearrange the day. i’d not let the afternoon’s shadow stretch long across the garden. the story of the linden tree, and its blessed blossom, traces back to the not-so-long-ago day in april when a dear friend and i ambled through a magic hedge. my friend has cancer, nasty cancer, and we were soaking up the day in the deepest prayerful way. as we ambled through the hedge on that april afternoon and came around a bend, we stumbled into yet another old friend of mine, one who knows his trees. my one friend’s eyes widened as she spied a broad-limbed specimen of tree, one whose branches stretched heavenward and cradled a warbling little bird besides. upon introduction, both friends began to speak in spanish, words tumbling more and more feverishly. all i could make out was something about a mama, and something called “tilo.” turned out my friend saw the tree and suddenly remembered the one in her backyard when she was a little girl. it was a linden tree, and when she was afraid, or needed calming, her mama gathered up its blossoms and made her little girl a tea. the tea she called “tilo,” linden flower tea, an ancient balm for soothing nerves, and sweating out a fever. my friend these days is sometimes in need of soothing, deep-down soothing, and though her mama’s gone, the branches of the linden tree held out the hope of something she had thought she’d lost. i’ll not forget her face and how it softened, nearly glowed, as she looked up at that tree, as i saw the pages of her life’s picturebook turn back in time, remembering her mama and the tea that soothed whatever ailed her. 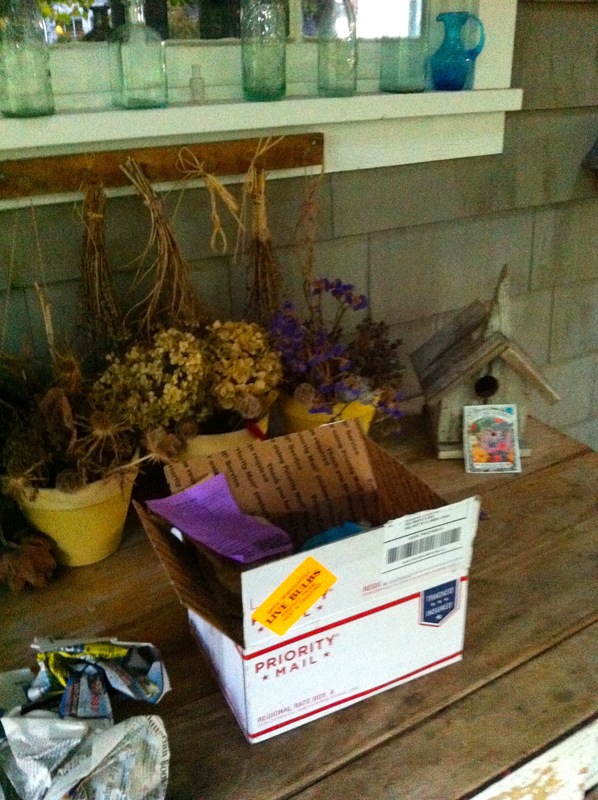 turned out the very next morning — at the very hour my friend was once again submitting to a scan that would peer inside and chart the path of her stubborn cancer — i was visiting an old friend, an icon-painter friend, who flung open the door of her pantry, and asked if i’d like a cup of linden flower tea. now, i tell you, i’d not heard of linden flower tea till just the day before, and suddenly, within the circle of a single day, i’d bumped into it for the second time. i stood there slack-jawed, and stuttered through the story of how my ailing friend had longed for linden flower tea, but had no clue where she might find it, without her mama here to gather up its blooms, and steep the brew just the way she’d always brewed it. because my icon-painter friend is the sort who knows no end to generosity, the box of linden flower tea was off the shelf and in my hands before i stumbled to the story’s end. i broke out in goosebumps as i glanced at the clock, and realized all this was happening precisely at the moment that the body scan began. i tapped out a message to my friend to say, guess what, i found linden flower tea, and i’m bringing it your way. and then my icon-painter friend told me that, even better than the box of pre-packaged tea, imported from turkey, she knew a convent not too far away where a linden tree spread its branches, and where she knew the nun who each year gathered up its blooms. my icon-painter friend promised me she’d put me and the nun in touch. and so she did (although she placed the call from a 400-year-old silo on a hillside in italy, where she’s gone to spend the summer painting) and that’s how sister rita and i joined in linden-flower watch, keeping vigil on bud to bloom to starburst. in yet another wrinkle to the story, my friend with cancer hadn’t looked at her phone once she finished the scan that day, the last of april. instead she stopped by the office of a friend, and feeling achy in the belly, told the friend she had to leave to somehow, somewhere in this city, find herself a cup of tilo, the linden-flower tea for which she so suddenly deeply thirsted. it wasn’t too many minutes after that that she finally glanced at her phone and saw the message saying i had a miraculously stumbled upon a box of that very tilo and was driving it to her house. 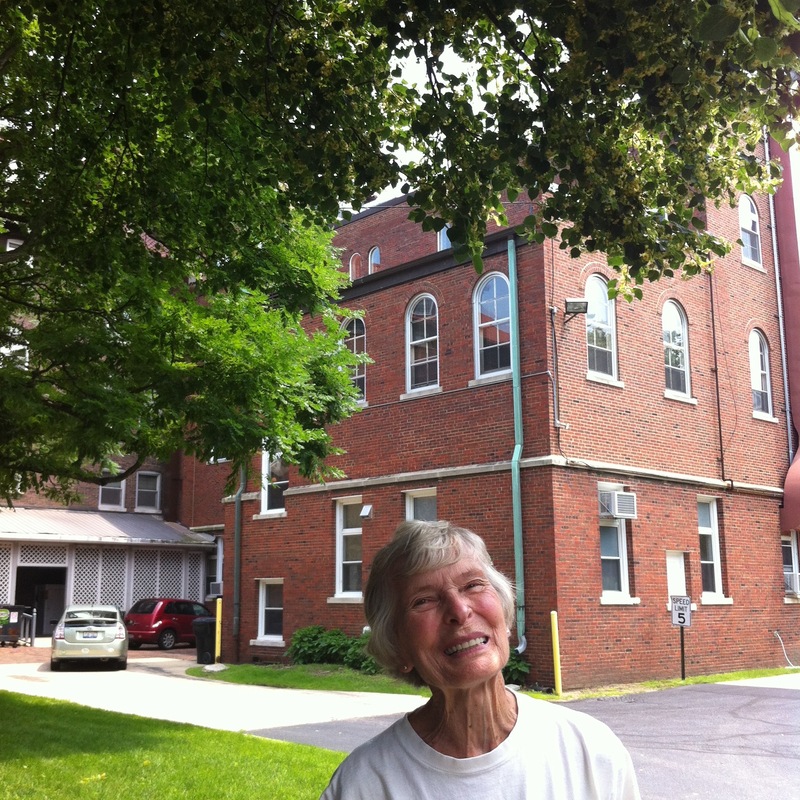 within the hour, as we stumbled into each other’s arms on the sidewalk in front of her house, i told my friend about sister rita and the linden tree. enchanted, my friend and i have spent the last many weeks awaiting the tilo bloom. we’d planned to amble there together to gather up the blossoms, but the day sister rita called was not such a good day for my friend, so i scurried along alone. and there i met the radiant sister rita, who swiftly grabbed a crook-necked cane and thrust it into the branches thick with bloom. coaxed by sister rita’s gentle tug, the starbursts yielded to our reach. she handed me a scissor, and for the better part of half an hour, we snipped and gathered, and filled a grocery bag. i ferried home our cache, and snipped for hours more. 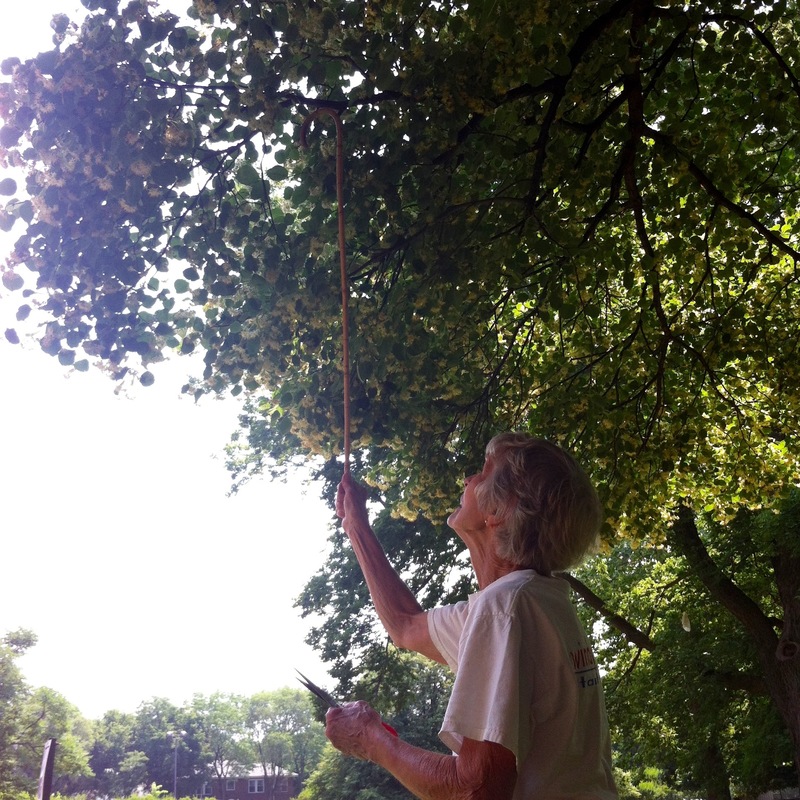 my mama joined in the snipping, as we gathered up the blossoms and left behind the branch and leaves. for days now, the linden bursts have been drying in a flat-bottomed basket, drying into tea. it won’t be long till we put the kettle on, boil up a cup or two of water, toss in a teaspoon of the linden flower offerings, and brew my friend the soothing tea that she’s so deeply longed for. she remembered that her mama always prayed to saint rita, always prayed to her when faced with the impossible. i swallowed back a tear or two, and offered up my own petition to saint rita. may impossibility be shattered, and the possible come shining through. i cannot wait to inhale the vapors of that holy cup of tilo, and to lift it to heavens. 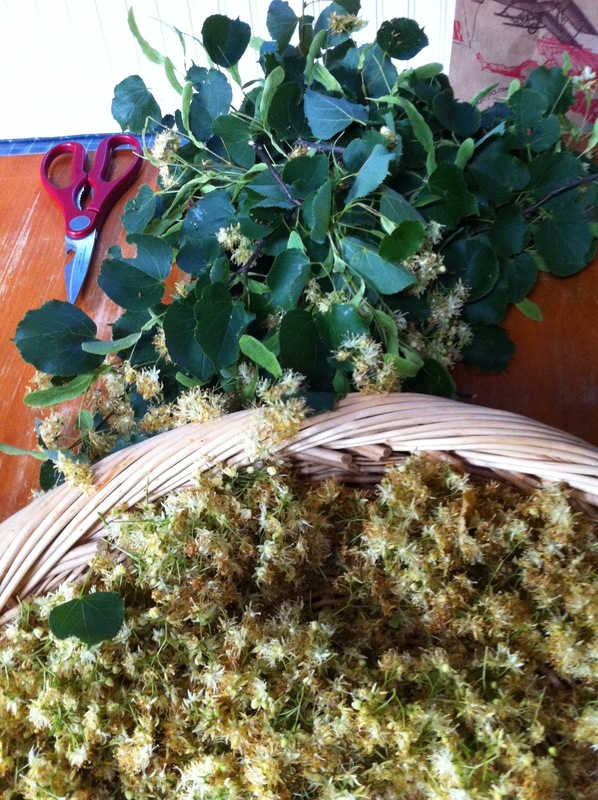 if you’ve a linden tree out your window, here’s how to make your tilo, once you gather up and dry your linden-flower blossoms: simply steep one teaspoon of the dried flowers in boiling water for 15 to 20 minutes. drink up to three times a day. you’ll be soothed. while it’s been known for centuries to be a calming potion, please be cautious if you’ve a weakened heart. if in doubt, check with someone wise to the herbal apothecary. if you’re not inclined to sip your soothing brew, you can bathe in it. 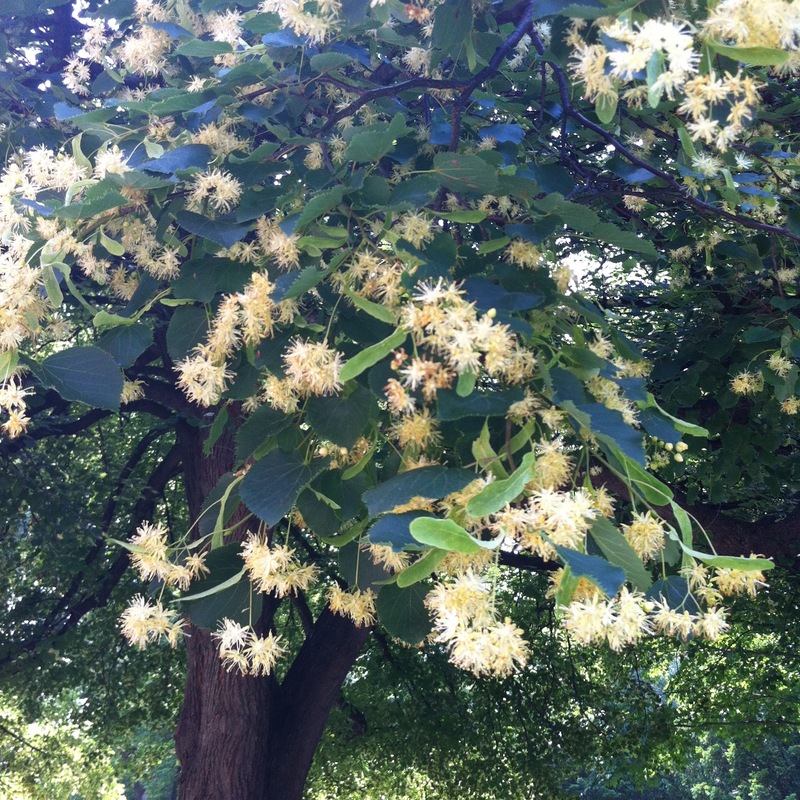 here’s a recipe for a “relaxing evening linden-flower bath” (the name alone sets me to soothing): simply boil two to three handfuls of dried linden flower blossoms in a quart of water. strain your brew, pour it in the tub, and sink yourself in. might you have a magic tale to tell? one with holy vapors? one that stars a tree? do tell….